Washington University outgoing Chancellor Mark Wrighton (right) will lead an effort to implement Better Together's recommendations for a St. Louis city-county merger. He spoke at a press conference Monday at The Cheshire hotel to unveil the proposal. Better Together, which formed in 2013 to study the possibility of a city-county merger, released its recommended proposal on Monday. Some of the key points include creation of a “metro government” where current St. Louis and St. Louis County residents would elect a mayor, assessor and prosecutor, as well as a 33-person council. St. Louis Public Radio's Jason Rosenbaum breaks down the details and reaction to Better Together's proposal. "Today marks a new beginning of the St. Louis region," said Washington University outgoing Chancellor Mark Wrighton, who will be leading the effort to implement Better Together's recommendations. "We must be bold, determined, innovative and open to new ideas about best policies and programs to meet the formidable challenges of our region." The city of St. Louis’ government would effectively cease to exist, meaning many of its offices — like recorder of deeds or license collector — would be absorbed into appointee-run departments in St. Louis County. "The way it's set up now, it's actually our job to fuss and to fight," said St. Louis Mayor Lyda Krewson. "It's our job to fight for our area. It's our job to win against the others. The competition should not be between Wildwood and Hazelwood — or the city and the county. The competition should be between St. Louis and Nashville, St. Louis and Indianapolis, St. Louis and Louisville or Austin or Denver." St. Louis County’s cities and their elected officials would still exist under the plan, but they would lose most of their ability to levy sales taxes. Those cities, which would be called "municipal districts," wouldn’t be able to have a police department or a municipal court — as the new metro government will be responsible for both. And the metro government would also have a big say over how developmental incentives, like tax increment financing, are handed out. Municipal officials could still pass local laws as long as they didn’t conflict with broader ones, and would control city services such as trash collection and parks and recreation. The plan does not affect fire-protection districts or schools. 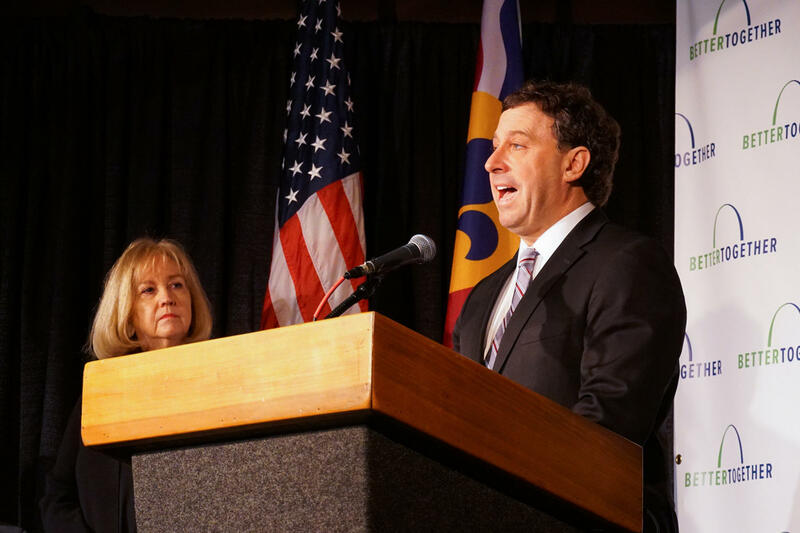 Under Better Together's proposal, St. Louis County Executive Steve Stenger (right) would serve as the transitional mayor of a united St. Louis metro government until 2025, assuming he stays in office through January 2021. If Krewson is still in office by 2021, she would be the "transition mayor" that would help Stenger follow through on the merger. The transition mayor would appoint a five-person board that would initially oversee the St. Louis "municipal corporation." The metro mayor would apoint successors. Proponents are planning to circulate an initiative petition to have the entire state vote on the plan during the 2020 election cycle. Prior attempts to merge St. Louis and St. Louis County through what’s been known historically as the Board of Freeholders process were voted on only by city and county residents — and didn’t pass. Rice and other Better Together officials say their plan needs to change Missouri’s Constitution — especially when it comes to merging police departments and courts. The Municipal League of Metro St. Louis is backing a plan to create the Board of Freeholders to study the issue of a city-county merger. Because St. Louis would cease to exist as a government, the one-percent earnings tax levied on people who work or live in the city would be phased out over 10 years. A state law that voters approved in 2010 bans any city from implementing a new earnings tax. So once that tax is phased out, it couldn’t be re-enacted. Retired financier Rex Sinquefield has provided funding for Better Together's efforts and could spend millions to get the measure on the 2020 ballot. The elimination of the earnings tax would be a policy victory for retired financer Rex Sinquefield, who has helped fund Better Together over the past few years. 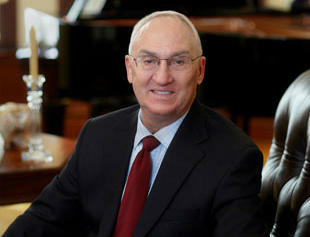 Sinquefield effectively bankrolled the 2010 initiative to require reauthorization of the earnings tax every five years. Local referendums in St. Louis and Kansas City to get rid of the earnings tax failed by wide margins. Will Ross, a member of Better Together's task force, said the plan may be accomplishing one of Sinquefield's policy goals — but added "right now we're looking at the permanent interests." "So we have an interest in actually securing a metro government — and have an interest in savings that could be up to $160 million a year," Ross said. "If we have those savings, then guess what? It reduces our needs for an earnings tax. If that fulfils one of Rex Sinquefield's requests, then that's fine — as long as we're benefitting the community at large." Had Better Together proposed having St. Louis join St. Louis County as a municipality, it would have been possible for the earnings tax to remain — since that same 2010 law allows cities to keep it as long as there’s a referendum every five years. Leipholtz said though that a “re-entry” plan wasn’t an attractive option — because it didn’t deal with the region having too many police departments and internal economic-development competition. If the merger occurs, proceeds from the earnings tax will go to pay off the city’s debt and pension obligations, which Rice estimated at around $700 million to $800 million. Lawmakers from both political parties have objected to putting the St. Louis-St. Louis County merger question to statewide voters. The decision to embark on a statewide vote, rather than a local one, has elicited bipartisan scorn. Some critics contend it’s been done this way because it’s easier to convince the entire state to adopt the proposal with an expensive marketing campaign than in just St. Louis and St. Louis County. Others are concerned that Better Together's plan could be implemented even if city and county residents vote against it. “If it’s going to be a vote, shouldn’t it be the city and county?” said state Rep. Dottie Bailey, R-Eureka. Better Together’s proposal prompted some in Jefferson City to consider ways to combat the proposal — including placing a corresponding initiative on the 2020 ballot requiring a merger to have approval from city and county voters. Leipholtz said his group considered adding a clause where the plan only went into effect if it passed in the city and county, but added such a move would run into constitutional issues. The proposal places Democrats in an awkward position. Many Democratic House and Senate members have made protecting voter-approved ballot measures a priority over the past two years. Yet Stenger and St. Louis Mayor Lyda Krewson — the region’s top Democratic officials — have have said they think a statewide vote is necessary. That scenario prompted municipal officials to endorse a Board of Freeholders process — which could present a reorganization plan that would only be decided on by city and county voters. Since Stenger and Krewson would appoint the majority of the board, it’s unclear how their opinion would affect the process. 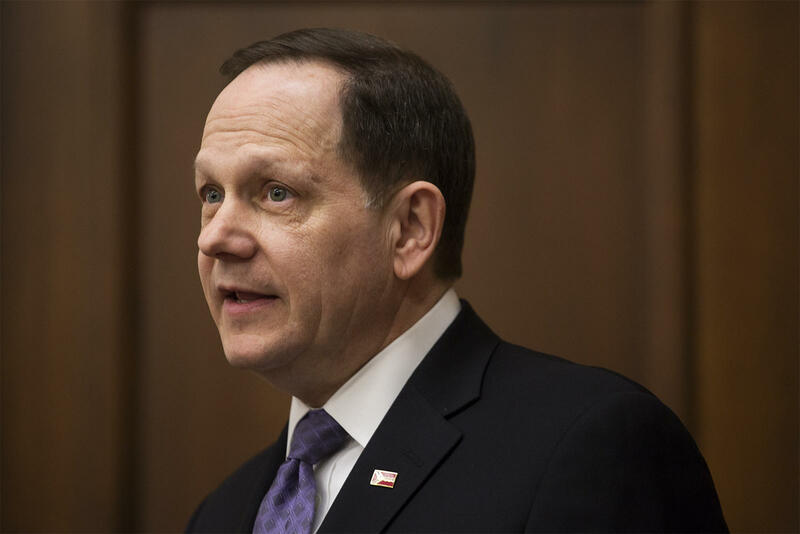 When he helped launch Better Together in 2013, then-St. Louis Mayor Francis Slay promised that no merger plan would go forward without approval from city and county residents. The decision to take the city-county merger proposal to a statewide vote clashes with what some key officials associated with Better Together have been saying for the past few years. For instance, then-St. Louis Mayor Francis Slay made an explicit promise in 2013 that no plan would go in place without support from the city and the county. He also emphasized that the formation of Better Together was not aimed at getting rid of the earnings tax, which Slay campaigned to keep in his last couple of years in office. Slay, who was present Monday at the unveiling of the plan, declined to address his 2013 comment and added he supports Better Together's proposal. On Monday, Ross said his preference is to have a vote only in the city and county. But he added "we had to look at the structure and ask 'what could we achieve?'" "And if we're talking about creating a new set of governance, we looked at the requirements from a city-county local vote. And we realized we would actually have to have a statewide vote in order to amend the statewide constitution," Ross said. "I had to come to the conclusion that we couldn't achieve what I wanted to do unless we had a statewide vote." Rice said she, too, would have preferred that the plan be decided locally. But after Michael Brown’s death in Ferguson exposed problems with the region’s policing and municipal courts, she said it was necessary to submit a more ambitious plan for consideration. Convenient ignorance explains most of the folly in human affairs. The things we don’t know really can hurt us. Worse, the things we think we know are often wrong.